Wedding package prices from $2500. Elopements from $1300. For details on wedding packages, send me an email! I won’t sugar-coat it. You have a lot of decisions to make while planning a wedding. But in all the choices you’ll make for your wedding day, the most lasting one will be in the photographs. Here is where the food, the flowers, the dress, and the venue will come to life. This is how you’ll remember your big day for years to come. Here are my top-three tips for nailing the photographer choice. More than liking the photos, you should also like the person! You’re welcoming this person into your most important and exciting moments and asking them to stick closer to you than any other vendor you work with. You have to like your wedding photographer. Loving your photos is valuable but loving your photographer is priceless. Find a photographer who is well-respected and well-established to help you document your fun. As easy as it is in our iPhone-driven world to take and share pretty good photos, a photographer is not just taking a snapshot of a moment. A good wedding photographer is drawing upon years of experience to give you living proof of your wedding day. But how do you tell whether or not a photographer is a pro? 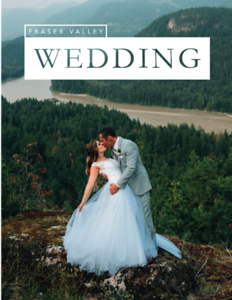 Does the photographer have wedding experience? Not just wedding portraits, but wedding day celebration. Find a photographer who likes you. You want your wedding photographer to like you because you’ll get better photographs. Plain and simple. You don’t want someone who’s just showing up for the paycheque. You want someone who loves what they do, treats their art like the the business it is, and who will treat you as the VIP customer you are. If your wedding photographer likes you and not just your business, you will receive a photographer who pours heart and soul into making sure you have the best experience possible. Have more questions about Jenni Marie Photography? Email me today or use the contact form.